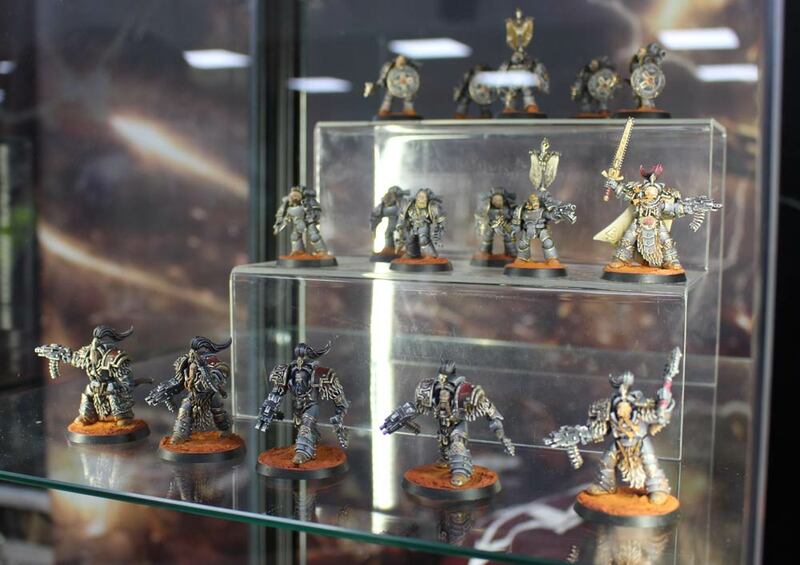 Forge World teases some more kits on the way at Warhammer World Open Day! That’s right – if you’re Legion doesn’t have upgrade doors yet, don’t fret – they are on the way! All of these kits are welcomed additions to the model library from Forge World. 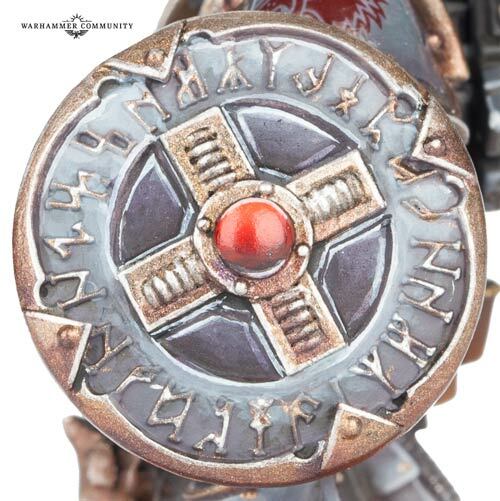 We really liked the new runic shields – they have a lot of character and details mixed in. They would make excellent Storm Shield alternatives…just sayin! Yes, that is the top half of a Warlord Titan. 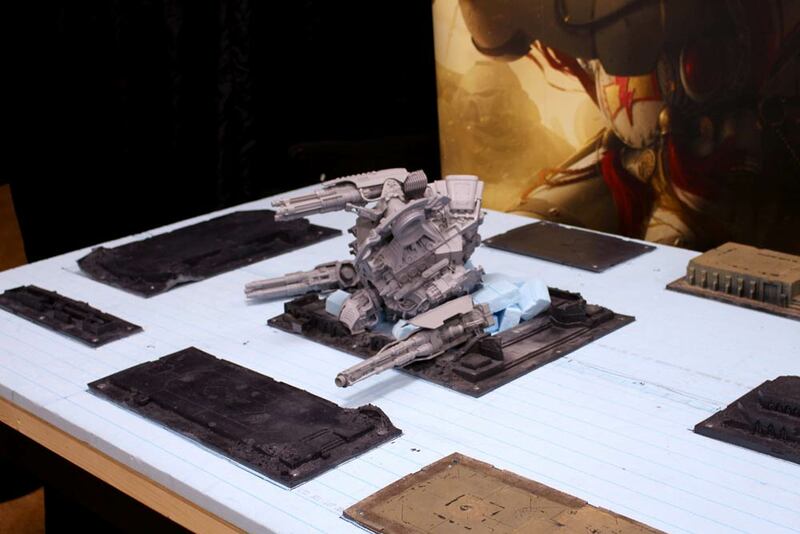 Half of me is crying/dying inside and the other half really wants to see what crazy stuff Forge World does with the rest of this table! 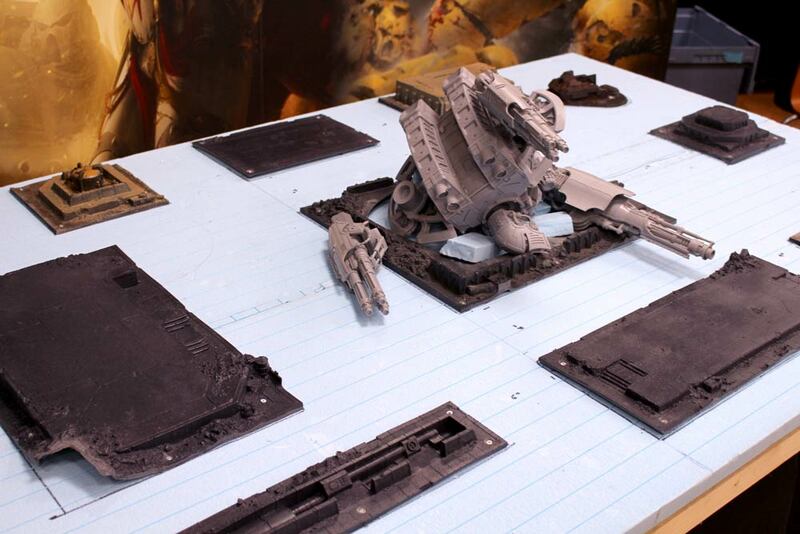 I’d love to play on a table with the wreckage of a Warlord Titan…I just wouldn’t want to pay for the wreckage if you know what I mean. 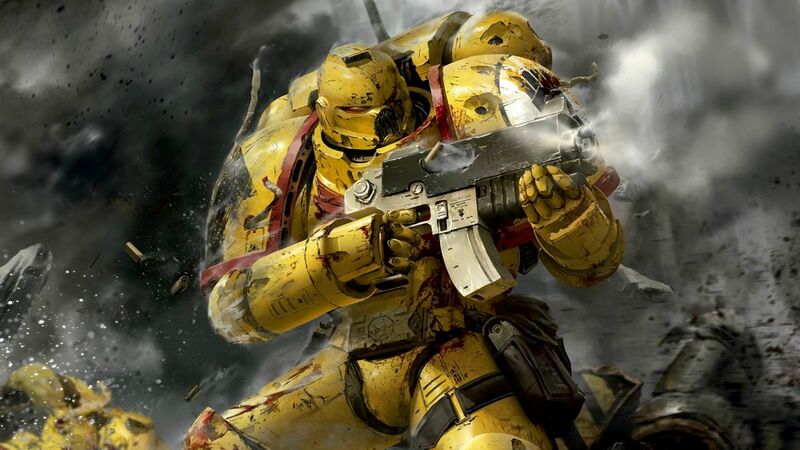 What are you hoping to see, model-wise, from Forge World this year?